Can You Guess? A theme from Finlandia became the melody of a popular Christian hymn which was a favorite of runner Eric Liddel (you may remember the movie Chariots of Fire). 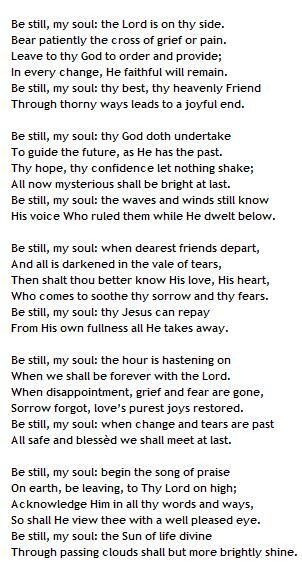 Can You Guess the title of this spiritually uplifting song? 1813 - Premiere of Beethoven's Symphony No. 7. Conducted by the nearly deaf composer, in Vienna. 1882 - Manuel Maria Ponce, Mexican composer and conductor, was born. 1930 - Composer Alain Weber was born. 1939 - James Galway, Irish flutist, was born in Belfast. 1947 - Gregg Allman, guitarist/vocalist (Allman Brothers Band), was born. 1980 - Ex-Beatle John Lennon was shot and killed. Jean Sibelius was born December 8, 1865 to a middle-class family in a small town north of Helsinki, Finland. The family spoke Swedish (Jean learned Finnish later in school) but was definitely Finnish in outlook. His father died when Jean was two and almost all influences on him after that were female. Even before Sibelius had any music instruction Sibelius was writing songs. His first composition came when he was 10 years old. At 14 he began to study the violin, and later took up the piano. In 1885 Sibelius moved to Helsinki, where he planned to study law while taking music courses at the conservatory. He left law school in 1886, and began studying full time at the Helsinki conservatory. He studied composition with Wegelius and violin with Csillag. 1889-90 saw him studying composition in Berlin, and he attended conservatory in Vienna in 1890-91. 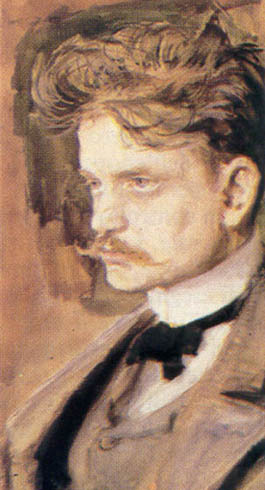 Sibelius returned to Helsinki in 1892. He taught violin and music theory at the Helsinki Music Institute from 1892-97. 1892's choral symphony for male chorus and orchestra was inspired the Finnish epic Kalevala, and it enjoyed great success in Helsinki. It was a work written by a still maturing Sibelius, and did not show the depth of some of his later works, but it gave great hints of the music that was yet to come. Sibelius withdrew the work, and it was not performed again until after the composer's death. But Sibelius had struck a chord with the Finnish people and government. It was a time of extreme nationalism, and the people. In 1897 the Finnish state voted Sibelius an annual pension to enable him to concentrate solely on composing. Sibelius's symphonic poem, Finlandia, completed in 1899, became a symbol of Finland's bid for independence. Click here to hear a MIDI version of Finlandia. For many people this is the pinnacle of Sibelius's compositions due to its nationalistic nature, but Sibelius turned to more international themes. Sibelius wrote seven symphonies between 1899 and 1924, and symphonic poems such as the four-part Lemmink�inen series, and Tapiola. Sibelius also wrote pieces based on theater works and several chamber and ensemble works both instrumental and choral, the best of which may well be Voces Intimae (1909) written for string quartet. Sibelius stopped publishing in 1931, but his music remains a staple of concert halls to this day. Jean Sibelius died in 1957. 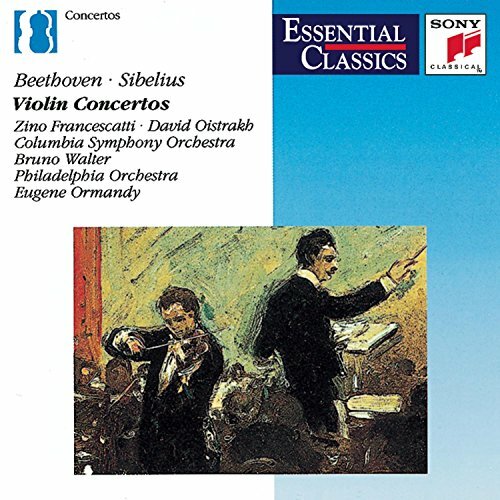 Of special interest to this web site, Sibelius's Violin Concerto (completed in 1903 but not performed until 1904) was a farewell to the romanticism of the 19th-century. But Sibelius was dissatisfied with it and he spent the better part of the next year revising the work. The version we know today was first performed in Berlin in 1905. The concerto is a 3-movement work. in the customary three movements and is rich in Romantic and dramatic expression. From the most ethereal entrance of the violin in the first seconds of the first movement the composer leads us on a varied musical journey ending with what the compser called a "danse macabre" in the final movement. It is very demanding, but is a standard in the repertoire of all major violinists.